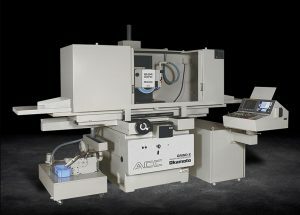 ACC-DXNC grinders are specifically designed and built for high precision 2-axis simultaneous applications. Rigid design and construction, powerful software capabilities and long-term reliability makes them the preferred choice for high-accuracy and high production grinding applications. Grinding patterns – choose plunge, bias feed or step feed – then select one of 6 versatile grinding patterns.